This above-average Louis Hayward swashbuckler was sumptuously produced by Columbia's resident western specialist Harry Joe Brown. 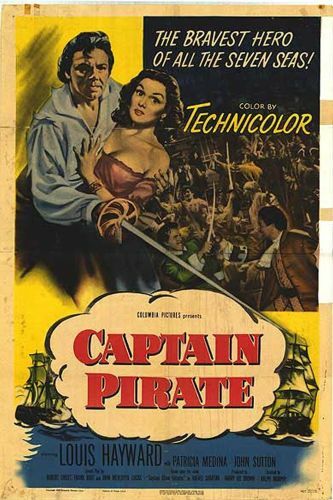 Adapted from Rafael Sabatini's Captain Blood Returns, the film stars Hayward as physician-turned-buccaneer Peter Blood. Now respectably retired in the West Indies, Blood is shaken out of his complacency when he is accused of returning to piracy. Given a chance to clear his name, Blood reassembles his old crew to track down the villain who's pilfered his good name. The excellent cast includes John Sutton, George Givot, Ted de Corsia, and, in larger roles than usual, Charles Irwin and Rex Evans. And what would a Columbia pirate picture be without leading lady Patricia Medina?